The Oxford shoe is the foundation of a heritage look and has come into its own element over the years. Oxford shoes are basically for a formal dress shoe, if you tend to be relaxed in your dress sense, you'll be happy to know that oxfords go with trousers, chinos, shorts and even jeans. In terms of style, you prefer something slim-line with a cap-toe. The squared edges and thick look will make the edges look inelegant and unbalanced; so go for classic looks with a modern and lightweight design where possible. The shoe originated from Oxford, England. In the past many years, the Oxford has retained its heritage regardless of the new range of materials, colors and styles. A pair of Oxfords are perfect for any occasion, be it a job interview or a black tie event - make sure to keep them clean and polished. Firstly, make sure you are comfortable with the solid support around the heel because tight leather will give slackness around the heel thus making the shoe slide. Secondly, the length of your shoe should be around half an inch longer than your longest toe. Lastly, don't go for too much bling or decoration, the reason being too much decorative perforations will make the shoe look overly ornate. Keep your oxfords away from heavy soiled environments: walking through marshland is best done by wearing wellington boots. If your shoes are muddy or sodden, make sure that you leave them overnight to dry and then gently sweep away the debris because artificial drying will crack the leather and rubbing will make things worse. Interested to keep those heels sharp? You can use shoe horn as this will make those Oxfords looking dapper around the back. Lastly, go easy on the polish and waxes: it will ruin the natural look of your leather - a small amount will go a long way. Final Word: Like mostly dress shoes, oxfords comes in cordovan, black, burgundy, brown, white and chestnut. 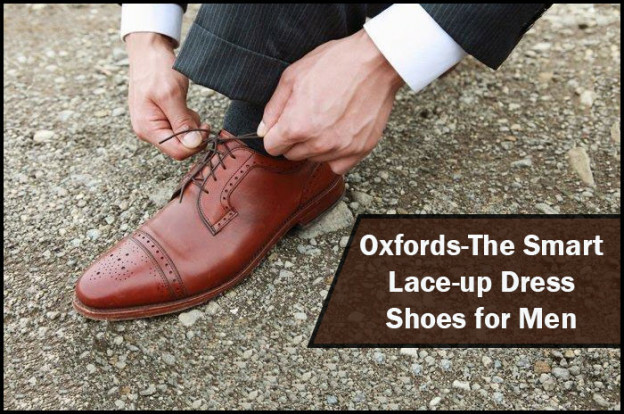 Oxfords shoes are appropriate for numerous occasions and you can opt accordingly.